Using a Facebook page is one of the best ways to communicate your brand, community, cause, or business. With more than 1.8 billion users per month and a year-over-year increase of 17%, creating a Facebook page is a solid way to let other people know about your products and services. Aside from consulting sites such as https://www.magenet.com/how-promote-blog that teach you how to promote your blog through backlinks, channeling through Facebook is an equally important way to gain viewers, especially now that we are in the social media age. Aside from clear, user-friendly content, your Facebook page should have a memorable name to get the best traffic. Changing your Facebook page name to one that is search engine friendly and utilizes the right keywords, you can maximize organic visitors to your blog, website, or Facebook page. 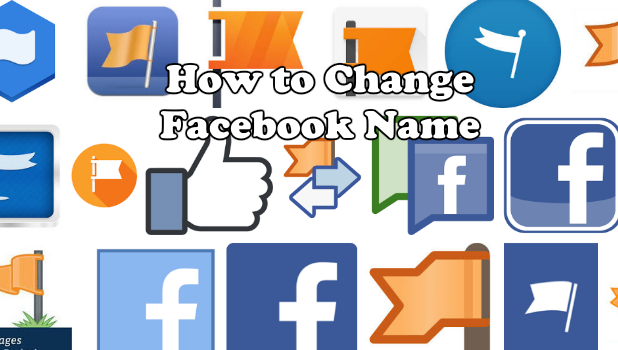 Learn how to change a Facebook page name here. 2.Click on the drop-down menu icon on the upper-right part of the page. 3.Click on the page for which you want to change the name. 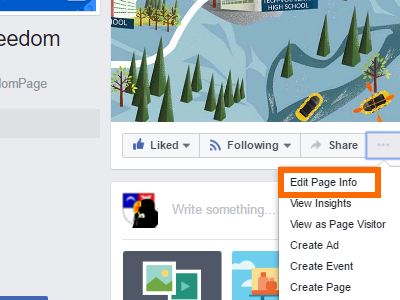 If the Facebook page is not displayed, click on the See More option to view all the Facebook pages associated with your account. 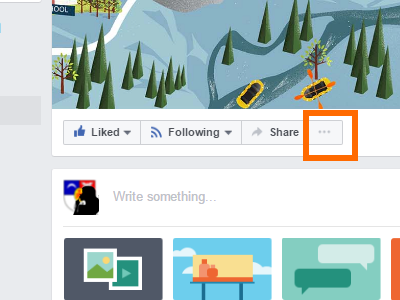 4.On the target Facebook page’s Home page, click on the More icon from the menu bar. 5.Click on Edit Page Info. 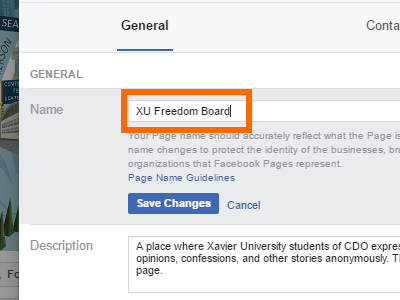 6.On the General tab, edit the Facebook page name to the new name you have chosen. 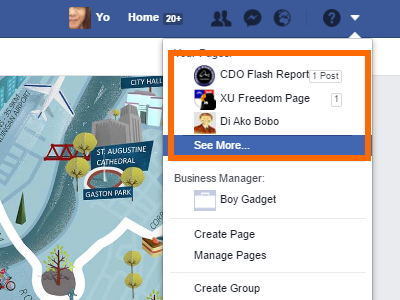 8.A pop-up dialog box will be shown reminding you of your current Facebook Page name and the new Page name. Approval may take up to three days. 9.Click on the Request Change button. 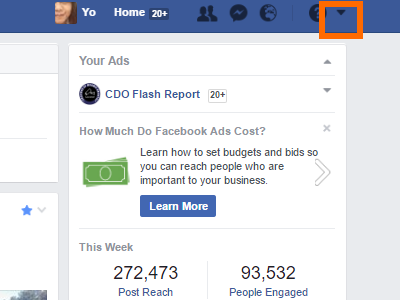 10.Another message will pop-up telling you that Facebook is reviewing your Facebook name. Click OK.
11.Wait for Facebook to review and approve your new Facebook Page name. Once approved, your Facebook page will now have its new name. 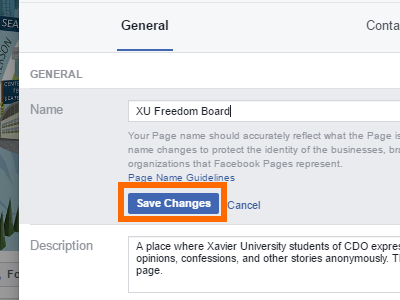 Q: Why don’t I have the option to change a page’s Facebook name? A: You need to have a full admin role to be able to change a Facebook page name. Editors, moderators, advertisers, analysts, and live contributors cannot change a Facebook’s page name. If you were just given the admin role, try to log out and log back into your account. Q: Why does it take so long for Facebook to approve my page name request? A: Facebook page name approval may take longer for some pages. 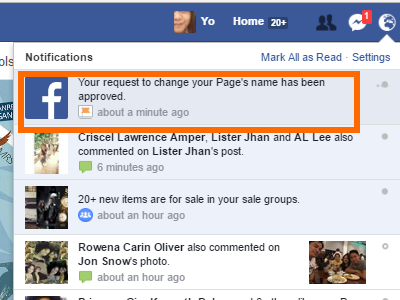 Normally, a request for a change to a Facebook Page name is approved in one to three days. If your request is not approved after that time period, try to resend the request. Also, see to it that your requested page name is allowed on Facebook. Abusive terms, misleading words, improper and unnecessary use of capitalization and punctuation, are some of the common reasons why requests are not approved. Q: I just changed my Facebook Page name. Now I want to change it again. Is there a limit to Facebook Page name changes? 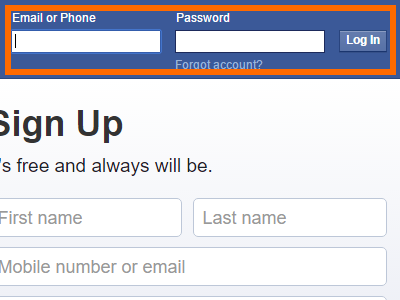 A: Currently, you are allowed to change a Facebook Page name an indefinite number of times. However, constantly changing your Facebook Page’s name may create a red flag in the system. It is advisable to limit the number of times you request to change the name. I have just shown you how to change a Facebook Page name. If you have questions about changing your Facebook page’s name, let me know in the comments section. Your question may be featured in the frequently asked questions section.